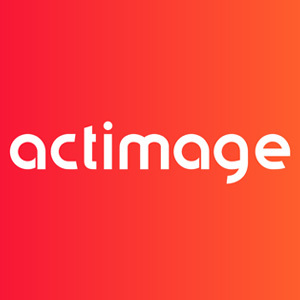 Founded in 1995 by Dr. Lott & Mr. Megel, Actimage is a human sized company present in Germany, France, Luxembourg, Switzerland, the UK and the United States. The French-German firm is dedicated to developing new technologies in order to support companies at all stages of their digital transformation; from portal and cloud platforms, to embedded software and IoT, through to mobile apps involving AR / VR / MR. Although imagination, instinct and courage are key values, success is all about commitment and sharing knowledge. Our ambition is clear: to master the entire digital value chain. We intervene in consulting and realization at all stages of the digital transformation of an organization. We favor short decision and validation circuits. We thus meet the requirements of the new economy, which measures its performance against the backdrop of an optimized and controlled information system. Our desire to innovate and our curiosity are our best assets. We want to remain a company on a human scale: we know how to collaborate different trades to build effective solutions. As top athletes passionate about their discipline, it is with imagination, a good dose of intuition and a lot of courage that we push the limits to build the success of tomorrow.